At a time when the government has quickly created the 10% quota for the non-SC/ST/OBC underprivileged through the 124th Amendment to the Constitution in a little over 48 hours, each and every move that it takes on the reservation roster is being keenly watched by the affected section of society. Will the government save reservation for SC, ST and OBCs (Other Backward Classes) or will it script another story under the veil of this judicial faux pas to kill it? A bench of Justices on January 11, 2019, refused leave to appeal to the MHRD to challenge it against a judgment by the Allahabad High Court (AHC). The 2017 judgment of the AHC had held that reservations for teaching posts in universities are to be applied by taking a subject/discipline as a unit instead of the university. 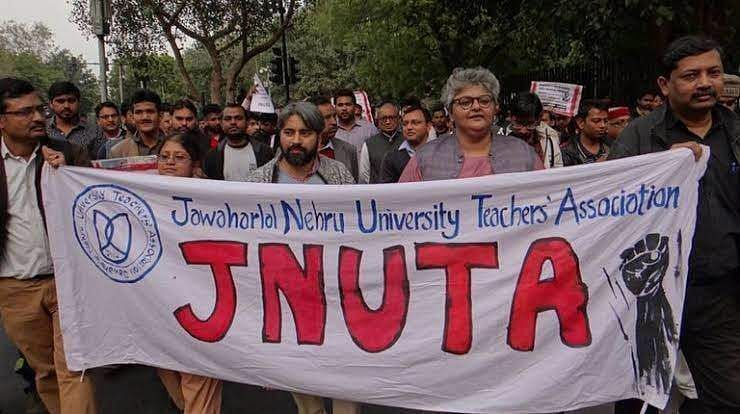 The petition was filed seeking to quash the Banaras Hindu University’s advertisement that it had invited applications for various teaching and equivalent posts in different departments of the University by applying reservation by way of treating the University as a 'unit'. (1) An Assistant Professor of one discipline is in no competition with the Assistant Professors of other subjects either at the entry level or even for higher levels as all posts of a higher level from entry level are by way of selection. There is no such provision in the teaching cadre for promotion being granted on the basis of seniority irrespective of the department or the subject. Their competition is with candidates of their subject/department and not of different subjects. (2) That it could result in some departments/subjects having all reserved candidates and some having only unreserved candidates. Such a proposition again would be discriminatory and unreasonable. The Bench also observed that both these will amount to a “violation of Article 14 and 16 of the Constitution”. Based on the AHC verdict, the University Grants Commission (UGC) on March 5, 2018, issued an order instructing all the universities that the number of reserved faculty posts across universities and colleges would be calculated department-wise and not based on the total vacant posts. Whether the UGC submitted its recommendations to the MHRD seeking an appropriate decision is not clear; but when the UGC order created a political furore throughout the country, the MHRD filed a Special Leave Petition (SLP) in April 2018. The MHRD, although did not instruct the UGC to withdraw its order, asked all universities to put recruitment on hold until the apex court pronounces a verdict on the SLP. It was also being said that a Bill was being drafted by the MHRD to overturn the UGC order. However, this never saw the light of the day. The Supreme Court, finally on January 11, 2019, refusing leave to the appeal of MHRD, upheld the Allahabad High Court's decision. This clearly means that if the reservation policy is implemented by taking each department/subject as a unit, instead of the university/college, there will literally be a huge scale reduction in calculations of seats to be reserved for SC, ST and OBC categories. There are several departments in almost every university, which are ‘single post cadres’ (meaning only one professor or associate professor in a given department). This means that reservation cannot be applied to these posts. Under this formula, even if a department has six posts in one cadre, none will be reserved for SC and ST candidates. The reservation policy would only be implemented through rotation, which could take years. It also means that unless, in year, in a department 7 new posts arise in one cadre, no post will be reserved for SC and unless 14 new posts arise in one cadre, no post will be reserved for ST. In other words, the possibility of reservation for SC and ST even in older departments whose faculty strength has grown over the years is almost nil. Mind you, there are hundreds and thousands of colleges in the country where leave alone department wise, they do not have a total faculty strength of 15! The order of reference by the AHC is a textbook case not just of judicial indiscipline but also a faux pas. A whole list of questions (6, if you want the number) were raised, which literally had no connection with the contentions. For example, before asking whether any exercise has been done “to review/revise the impact and effect of the reservation having continued for decades together?” did it ask itself how they came to the hypothetical conclusion that making the university a 'Unit' would result in an asymmetry where some departments/subjects will have all the reserved candidates and others will only have unreserved candidates? In the absence of any evidence and data presented, in the so-called “digital age”, doesn’t such a proposition actually qualify to be classified as discriminatory and unreasonable? Why did the Court not analyse/review or refer to the judgment of the Supreme Court in R K Sabharwal And Others vs State Of Punjab And Others [1995 AIR 1371, 1995 SCC (2) 745] which had laid down as to how the roster is to be applied? A Constitutional Bench of five Judges of the Supreme Court on February 10, 1995, had clearly laid out the procedure about following the roster, drawing also on the judgment of a Full Bench of Punjab & Haryana High Court in Jaswant Singh v Secretary to Government of Punjab, Education Department. As the SLP was being heard out in the Supreme Court in the last few months, reports poured in that UGC had collected data examining the impact of implementing department-wise reservation on the representation of SC/ST/OBC candidates in the universities. It was also hoped that the government would use these statistics to prove that implementation of the reservation without making each University-College a ‘unit’ will clearly reduce the chances of selection of candidates from SC/ST/OBC categories and that the impact of such implementation will be exactly the opposite of what the judgment of the AHC has hypothesised. But all that remains is just another hope - as the intention of the government inside the Supreme Court seemed extraordinarily perfunctory.